Hi! Welcome to Frisky Business Ferretry, the longest running angora ferretry in the UK. Our babies are available to pet and breeding homes. We have imported angoras from Russia, Poland, Netherlands, Spain and France to try our best in finding the perfect ferrets for our ferretry. Please take a moment to browse the site and come join us on our Facebook page, Angora Ferrets! Firstly, please remember there are plenty of unwanted ferrets in rescues. A good reputable rescue will have very well socialized spayed and neutered ferrets needing homes and will be able to pair you up with the right ferrets. If you would like information on a good reputable rescue near you, please feel free to contact us and we can hopefully point you in the right direction. 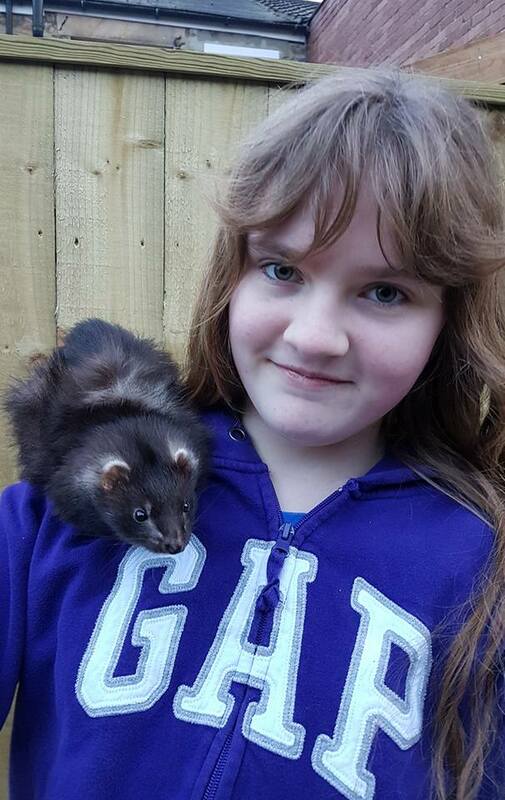 If you are in the North East of England, then we recommend North East Ferret Rescue. That being said, sometimes people just do not want to go the rescue route for their own personal reasons. Maybe they want to see lineage. Or perhaps they want to meet the parents in person and see their temperament and get updated progress and photos on their kits growth and development. As well as knowing they will get the best start in life that we can give them. But please keep in mind that kits can take quite a bit of work but if you are willing to put in the time, they can be very rewarding pets. We are two good friends who share a passion in ferrets so we decided to work together to produce the best kits we can and share out the responsibilities to ensure plenty of time is dedicated to our ferretry. 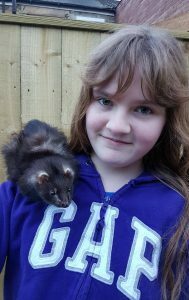 Being hobbyist ferret breeders since 2006 and angora ferret breeders since 2008, quite a lot of time, thought, effort and hard work has been put into it. The pairings are carefully planned and thought out with regards to producing happy and healthy kits. We also work closely with our vets at Wilsons Veterinary Group and if a problem arises, we promptly try to correct it.